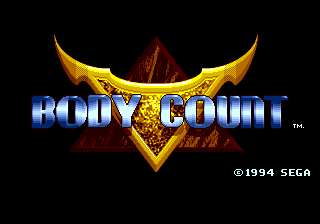 Body Count is a shoot-'em-up released for the Sega Mega Drive exclusively in Europe and Brazil (though plans were made to bring the game to North America). It is designed primarily for the Sega Menacer or Sega Mouse. Main article: Body Count/Magazine articles.